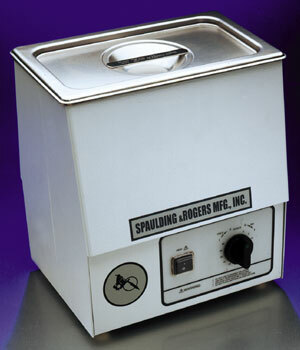 Model 275HT Spaulding & Rogers Heated Ultrasonic Cleaner with timer is a very necessary piece of equipment for your studio. Ideal for cleaning needle bars and tubes. Made in the U.S.A. of stainless steel. Tank Size: 9" x 5-1/2" x 5"